Houseplants are great any time of the year, but the holiday season gives us an opportunity to buy a plant to decorate a corner of the home or office. Commercial plant growers and garden retailers realize that the allure of a green or flowering plant this time of year is too much to resist. A handful of houseplants make popular gift ideas for gardeners and party hosts, because they're affordable and considered disposable after the holidays. 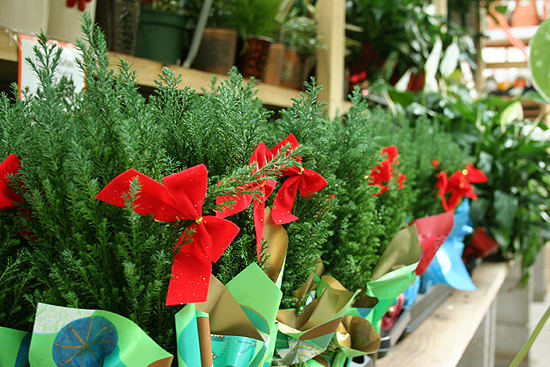 With some knowledge you can select a good houseplant for yourself or one you can give as a gift to a gardener. Below are some of the more popular holiday houseplant options and some information on how to grow and care for them. Another popular plant around this time of year because of it's Christmas tree-like appearance. The general consensus arrived at after consulting with a group of garden center owners is that there are several varieties and cultivars in the genus Cupressus available as holiday houseplants. Whatever cypress made to look like a miniature Christmas tree you buy; the one constant for them is that they're non-winter-hardy varieties. 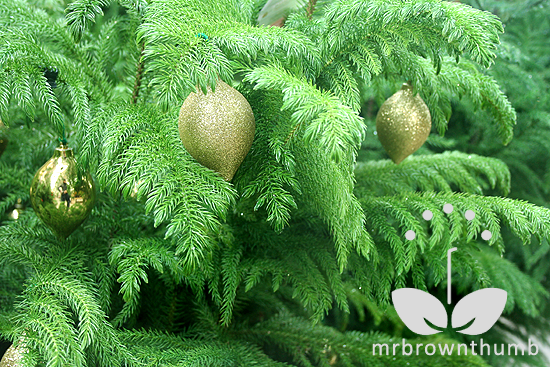 Like the Norfolk Island pine they like bright light but cooler temperatures ranging from 50-60 degrees Fahrenheit. Because of this ideal indoor temperature range cypresses don't make good indoor plants. Yes, they look like cute miniature trees, but they'll easily dry out and die in a warm home environment. If kept warm during the winter keep the soil moist to prevent it from drying out. If kept cool water sparingly and keep uniformly damp. 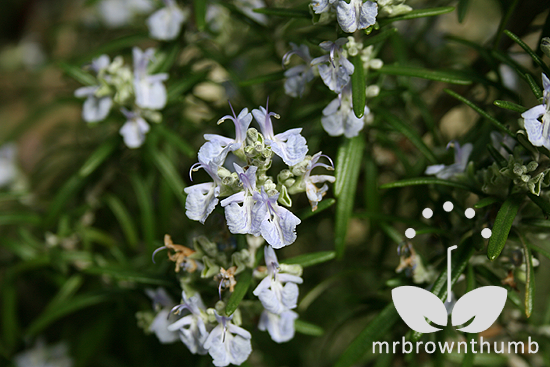 The popular garden herb, rosemary, is another shrubby plant sold during the holidays. The majority of these plants may clipped and shaped into triangular shapes or grown as standard topiary or clipped to look like conifers. While it may thrive in the hot conditions of the summer garden that emulate its Mediterranean origins, indoors those same conditions are a death sentence for this plant. When overwintering rosemary indoors it prefers a bright, cool location with good air circulation. The only time I've successfully overwintered rosemary I did so in an unheated room where temperatures stayed around 50-60 degrees Fahrenheit. If you keep your rosemary in a warm location the soil should remain evenly moist and prevented from drying out. The genus Hippeastrum is most commonly known as Amaryllis. These bulbs are native to central and south America and are non-hardy. You'll find them available as bare bulbs, as Amaryllis bulb kits with a soil disk, or with a vase and stones that you're suppose to add water to. 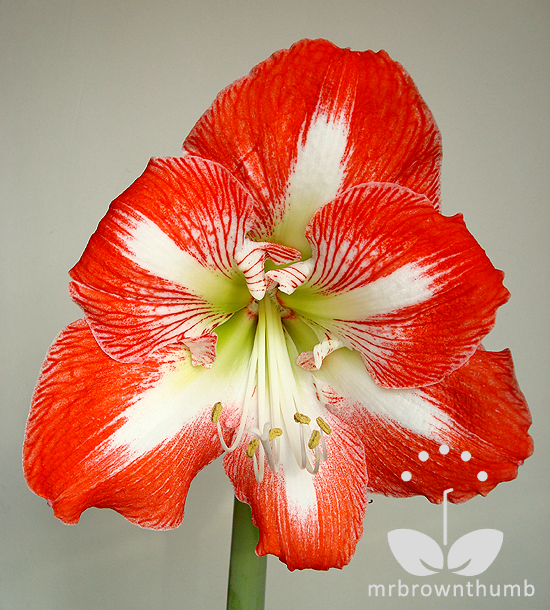 The Amaryllis pictured above is 'Minerva' but you'll find many cool cultivars like 'Charisma.' The soil disks that come with the bulb kits are usually made from cocoa coir. You can use this as a potting medium or opt to plant the bulb your favorite potting soil mix. When blooming the bulbs are usually too heavy for the plastic pots that come with the kit. Plant your bulb in a heavier pot to keep it upright. If the light from your window isn't bright enough the scape (flower stalk) and leaves will lean or flop to the sides. When the bulb receives plenty of sun the scape and leaves are a deep green color and remain upright. If the bulb isn't getting enough sun the leaves and stem will be a light green and the scape tilts towards the light source and leaves will splay. When you get your bulb plant it in the potting mix of your choice and place it in a warm location to break the bulb's dormancy. Fertilizing new bulbs isn't a necessity when you buy them as they come prepared to bloom when you buy them. See the link for 'Charisma' for video instructions on planting your bulb. In my observation the flowers last longer when they're kept cool and 60 degrees Fahrenheit seems to be an ideal temperature to prolong the life of the flower. After the bulb has stopped blooming you can move it to a warmer location and treat it like the rest of your houseplants. There are a lot of options available in the "Holiday Cactus" department this time of year. Whether it's a Christmas Cactus or a Thanksgiving Cactus the care for them are pretty much the same. 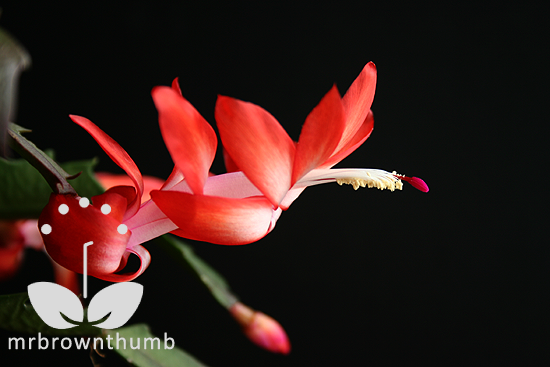 The Schlumbergera genus is native to South America where these epiphytic plants grow on trees or rocky crevasses in areas that are humid and shaded. A bright window in a cool room ( 60-70 degrees Fahrenheit) where the plant doesn't get much direct sunlight is an ideal location to prolong the blooming period. If you move a plant that's setting buds into a room that's very warm the plant may drop all of its buds. If you forget to water your plants for a couple of days the plants themselves are very forgiving, but you may lose all of your flowers or some stems may fall off the plant. You can propagate your "Holiday Cactus" by planting these segments and whole stems that fall off. Alongside the Amaryllis kits you may find kits for bulbs like tulips, hyacinths daffodils and potted cyclamens. The tulips, daffodils and hyacinths are all outdoor bulbs that bloom in the spring but have undergone an artificial cold period to prepare them for indoor forcing during the winter. These bulbs either come bagged in or as kits with a vase and stones you add water too and place the bulbs in. They're not meant to last longer than the couple of weeks it takes the bulbs to sprout and flower. After the blooming has occurred they're usually tossed in the garbage or compost pile because the bulb has used up its energy during blooming. Although, if you manage you keep the bulbs alive until spring you can attempt to plant them in your garden where they may or may not recuperate and bloom the following year. For the best results with these blooms emulate the conditions of spring indoors and keep them in a cool location (50-60 degrees Fahrenheit) where they get bright, indirect sunlight. A warm location will cause the bulbs to grow rapidly and flop over. Warm temperatures will also cut the blooming period by as much as half. Too much direct sunlight will encourage algae in the water, but not enough sunlight will and the flower stem and leaves will be light-colored and weak. Florist cyclamen are another popular plant available during the winter months. The flat tubers come potted and prepared for blooming. Choose a plant that hasn't opened up all of its blooms yet and keep it in a cool location. If the room you place yours in is kept at temperatures higher than 70 degrees Fahrenheit your cyclamen will not be very happy. They like bright winter light indoors and consistently moist soil- too wet and the tuber will rot. Avoid watering the center of the tuber by sitting the pot in a saucer of water so that it soaks up water from the bottom or water along the edge of the pot. After blooming the leaves will turn yellow, this is a sign of the tuber going dormant. Most people toss or compost the plant at this point. Ugh. Just don't. Poinsettias are ugly plants. If someone gives you a poinsettia during the holidays take it into another room and toss it out the window into the cold, freezing air and allow it to die. Alternately, you can wrap it gift wrap in the other room and hand it back to the poinsettia-giver to take home as they walk out the door. If you insist on keeping a poinsettia (and I don't know why you would) you'll need to provide temperatures between 60-70 degrees Fahrenheit and very bright light. Low light will cause the lower leaves of the plant to drop until you have only a few leaves at the tip of the plant. If the plant is exposed to drafts from either the outside or heating vents the leaves will also fall off. Check the soil daily and when it is dry to the touch give it a good drink of water. Unless you've pampered your plant once spring rolls around you'll have a leggy, leafless plant that barely resembles the full and colorful bush you received for Christmas. Whichever of these holiday houseplant you choose to buy or give during the holidays the most important thing to consider is the temperature of the room. Provide cooler temperatures and your houseplants will grow slower, extend the life of the blooms and you'll water a little less. The second most important thing to consider is removing the foil wrappers that many of these pots come covered in. They may make look holiday houseplants look more attractive but they will collect water which could lead to root rotting and wetter soil that gnats will thrive in. Finally choose a holiday houseplant based on gardener who will be growing it and the conditions they will be able to provide. Forced bulbs and poinsettias may be good candidates for gardeners who don't want to make a commitment to a plant for longer than a couple of months. Indoor gardeners with limited space may appreciate one of the Christmas or Thanksgiving Cactus plants available or an Amaryllis bulbs. While an indoor gardener who also has outdoor space may be able to give a rosemary topiary, Mediterranean cypress or Norfolk Island pine a sunny spot outdoors in the spring and summer. I have had all of these plants indoors and now havve several of them going, including the Pointsettia. I know it is a difficult plant to keep going after the holidays but I can't resist it. Leaves In Bloom out of Scotland has a wonderful blog on the pointsettia and is uses as a stem plant around the holidays. 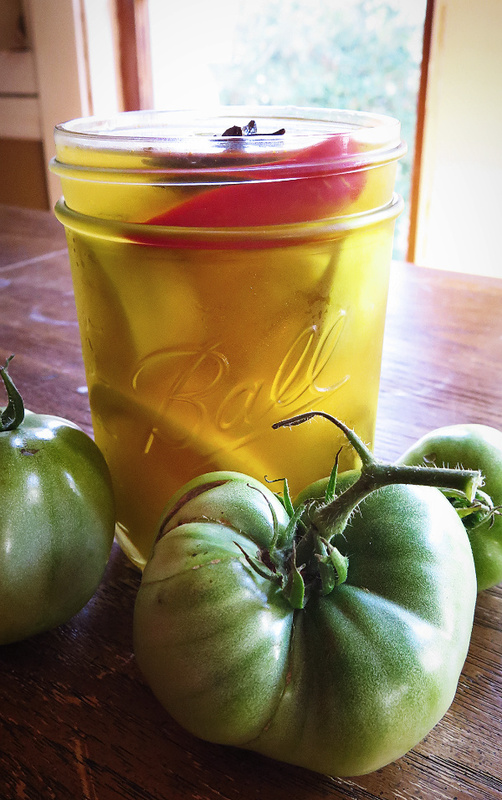 If seared on the bottom they will last up to two weeks in an arrangement. I think I am headed to Home Depot for their reasonably priced plants that I can cut for arrangements. 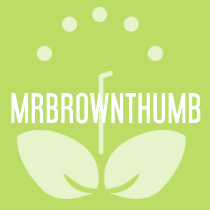 I am afraid to repot my "Christmas Cactus," Mr. Brown Thumb! It makes me nervous, but I know they really, Really need to have it done!!! 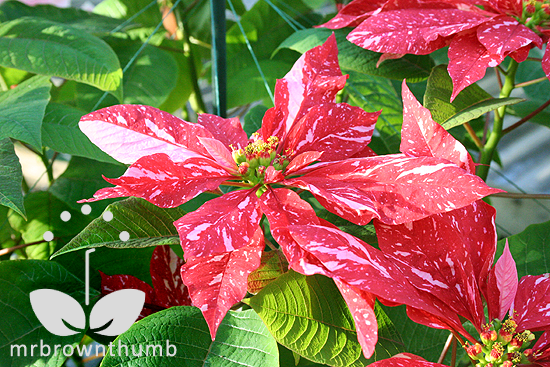 MBT, please tell us what you really think about pointsettia - please! You didn't mention small orchids. Many people successfully keep oncidiums and paphs indoors for years, altho they will not bloom well if you have them near a gas fireplace. Hope your holiday season is filled with good plants! All good suggestions MBT! I love the sight of those hyacinth flowers but I cannot get them to bloom as beautifully here. OMG, Mr. GT...so harsh on the Poinsettia!!! I am so in love with them...but I do, sadly lose interest when I don't stay on top of the trimming to keep it bushy! But, seriously, how can one resist it's gorgeousness? I think it is stunning! Just tonight I saw a red and white variegated leaf one at Walmart and it blew me away! You knew you would get one who loved it, right??? Great post on all the Christmas favorites. I was just looking at a little Spruce...so adorable!!! Good post, MBT, although I disagree about the poinsettia -- although I don't buy them for myself, I've seen them used very effectively, especially when massed. But, in our climate they're an "annual" to use and discard. Oh now, BEHAVE! I happen to like poinsettias, esp. that one you show that looks like it has a virus. But, yeah, they are SUPER hard to get to rebloom and I'm just not into a plant I can only keep for a few months. Honestly, if I were super into the look, I'd buy fake ones. Yes, I said it. And now, An Ode to the Norfolk Island Pine: NI pines are real troopers! I don't have very bright light in my house, and yet they do quite well. Even in summer when they go outside, they get maybe only 3 hours of sun a day, and they still did fine. That's my kind of houseplant! I also found out that they are super forgiving if you prune them, whether with actual pruners on the branches or with sharp scissors on the fronds. The first time I did that to even it out before I decorated it for Xmas, I was kinda worried maybe it would grow back funny, or that the fronds would die back after this abuse and mishandling, but they really handled it well. Awww I've always had a soft spot for Poinsettias (even if I do throw them away as soon as the holiday is done). As for Norfolks, I wish THOSE would be banned. They rarely look good in peoples houses and all anyone really wants them for is to use outside. The bar next to our train station put out about 15 along the patio...and now they're all crunchy and dead. It's tragic really. Awesome list! Outside of Pointsettias, I've never really known of any other great Holiday plants. Thanks a bunch! I like your idea about christmas gift plants. I was thinking about it and found your blog. I'm sorry all you poinsettia lovers, but I really do dislike them as much as the post indicates. I've avoided visiting the conservatories locally this winter so I don't have to see them. :0) Hope you all had a great holiday. I visited this post only to proclaim my love for the poinsettia, but I do appreciate that you have offfered many genuine suggestions for those who may not know otherwise. Someday I will have a winter sun room filled with nothing but wonderful poinsettias but in the meanwhile you can take joy in the fact that I am without.